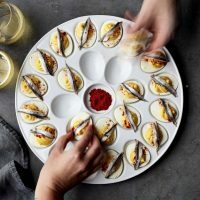 If you're a regular part of the Umami Girl community, you probably know by now that we don't post a lot of recipes that rely on seasoning packets and other ready-made ingredients of that nature. 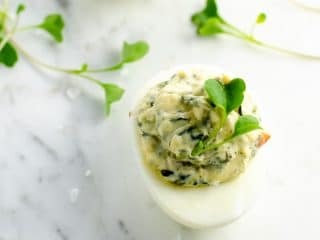 Well, these spinach dip deviled eggs toootally rely on Knorr vegetable recipe mix — that crack-like packet at the heart of the iconic bread bowl spinach dip you may have joined me in sidling up to party buffets to scarf down in the 1980s — and we're not even a little bit sorry. This super-easy deviled egg recipe variation is a total crowd-pleaser, and you can serve the rest of the dip at the same party. Win win. 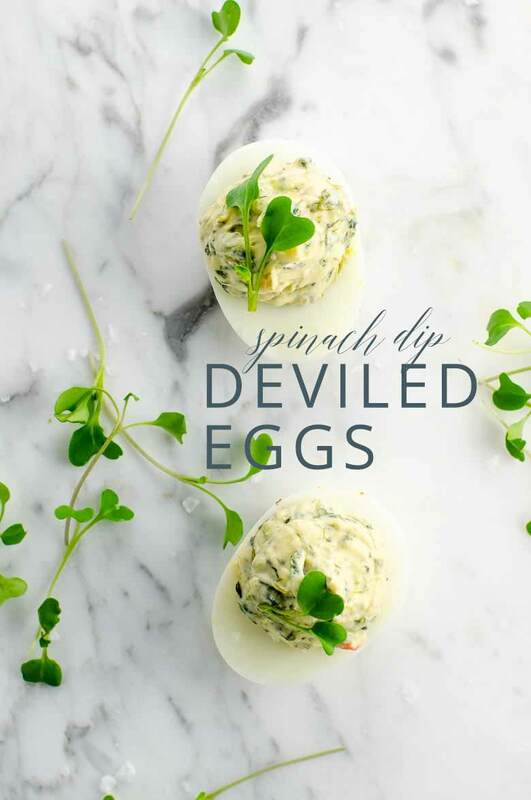 Sometimes a simple thing is just too good to pass up, and these spinach dip deviled eggs are just such a thing. I loved spinach dip in a bread bowl oh-so-shamelessly as a kid, and truth be told, I still do. Now that I'm all growed up and get to call the shots about what's on the buffet table, spinach dip and deviled eggs both make frequent appearances. The only question about combining the two was not if, but when. Oh, hello there. The time is now. 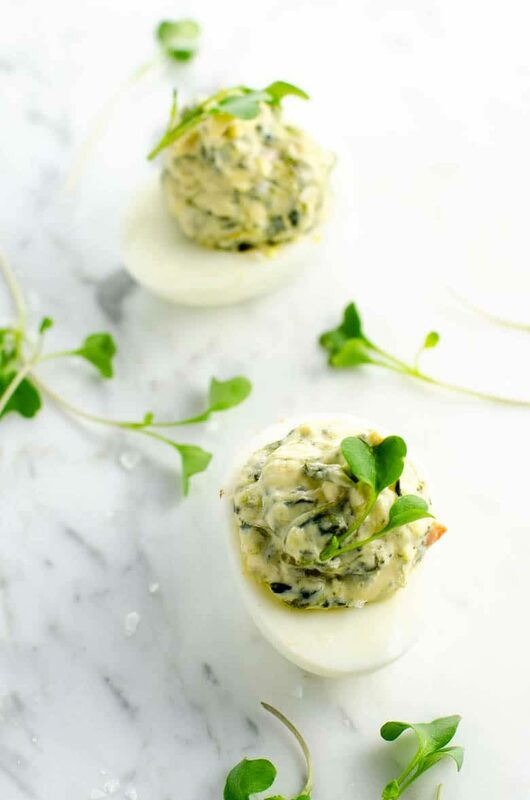 These crowd-pleasing spinach dip deviled eggs are full of flavor and protein. 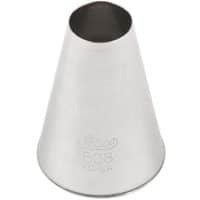 Begin with perfect hard-boiled eggs, and this anytime buffet star will be ready in no time. Add spinach dip and shallot and continue mashing and blending with the fork until yolk mixture is creamy. 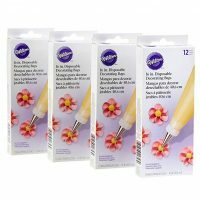 Using a piping bag fitted with a plain tip, a resealable plastic bag with one of the bottom corners snipped off, or a spoon, pipe or spoon the yolk mixture back into the egg halves. Garnish with additional greens if you like, and serve. Prepare a whole batch of spinach dip according to the instructions here. Use one cup of dip for this recipe. You can serve the rest separately at the same party if you like!